Intelect Portable Electrotherapy Long known for innovative clinical electrotherapy, Chattanooga Group offers you a full line of portable electrotherapy products with Intelect Tens Units. Treat multiple patients needs, from pain management to the prevention or retardation of disuse muscle atrophy. All devices come with lead wires, 9 volt battery, DURA STICK II self-adhesive electrodes and a convenient carrying case. Intelect TENS Basic - Portable Electrotherapy Dual, independent channels. Adjustable Frequency and Pulse Duration parameters. 3 stimulation modes (Burst, Normal, Modulation). Channel: Dual, Isolated. Waveform: Asymmetric biphasic square pulse. Pulse Amplitude: 0-80 mA each channel adjustable (500 ohm load). Safety Tests: EN 60601-1, EN 60601-1-2, EN60601-2-10. TENS/EMS Units & Stimulators can be found in our extensive online collection of products from globally recognized and trusted brands, including Chattanooga. 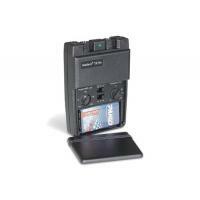 An excellent option to consider is the Intelect Tens Unit. 3.6" x 2.4" x 1.2"